Despite the fact that Rubber is one of the world's major commodities, surprispingly little has been written about hte the subject. 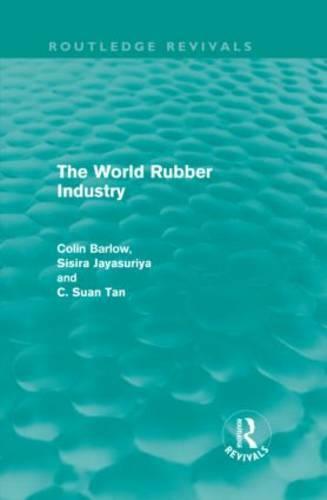 First published in 1994, The World Rubber Industry seeks to redress this deficiency. It presents information in a clear and accessible manner, with numerous tables and illustrations, and an extensive glossary. This is a comprehensive and definitive analysis of one of the world's major and most essential commodities.